CodeRED Strike Team Waterproof Shoulder Speaker Microphone FREE SHIPPING! 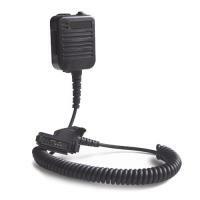 The military-grade Strike Team Microphone MC3 is built for people who need rugged, reliable communications equipment. The mic meets the US military's MIL-SPEC-810F conditions, demonstrating its durability in a combat environment, including drop testing, high and low temperatures, icing, ballistic shock, and gunfire vibration. It also achieves an IP67 standard, meaning that it is completely dustproof and protected against immersion in up to a meter of water. It's also covered by a one year warranty, just in case. ©2002-2019 CopsPlus.com: CodeRED Strike Team Waterproof Shoulder Speaker Microphone FREE SHIPPING!